What Can Dry Ice Be Used For? A small quantity of CO2 will increase the growth rate of plants. 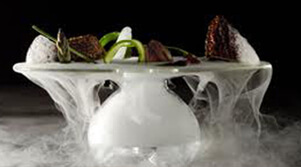 Allow the dry ice to sublimate in close proximity to the plants for 10-15 minutes daily. Using dry ice allows for the delicate asphalt to stay at required temperatures during transport from the manufacturing plant to job site. Even more beneficial, using dry ice allows contractors to speed up the cooling process and core the paving sooner. Infestation of bed bugs has become a serious problem because most of the chemicals used to control them are now banned or restricted. Removal of small infestations or testing whether you have them is possible by building a trap using dry ice. Use dry ice to keep freezer contents frozen during breakdowns. Use dry ice to keep refrigerator contents cool during breakdowns. 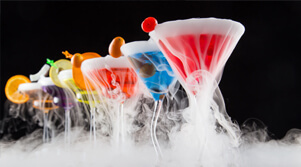 Dry ice provides the most effective and inexpensive means to keep perishables chilled or frozen. When dry ice is added to liquids, the dry ice will sublime and become a gaseous CO2 vapor. During this process, the liquid will absorb the CO2 gas and become a carbonated liquid, AKA fizzy pop, Sparkling water, etc. CO2 is extensively used around the world in the beverage and soft drinks industry. Many cancer patients undergoing chemotherapy treatments have found the use of super cooled “cold caps” to be an effective way to reduce or prevent hair loss. Dry ice will remove oxygen from flammable containment tanks if placed inside, reducing the risk of flammable vapours catching spark and exploding. Dry ice causes molecules to band closer together and shrink. Dry ice blasting has become the fastest growing application of CO2 in the entire industry. Similar to sand blasting, dry ice blasting uses a jet nozzle and compressed air to shoot small pellets of dry ice (blasting rice) with superior results. The extreme cold causes targeted material to shrink, allowing for easier removal. The used blasting rice will sublimate into gaseous CO2 after use which makes cleanup a breeze. Dry ice can be used to flash freeze fish, ensuring freshness and prolonging preservation time by up to ten days longer than regular ice. Dry ice when combined with hot water will produce and awe-inspiring display of bubbling water and thick voluminous fog. Use a 2kg of dry ice for every 4L of hot water for 5-10 minutes of maximum effect. Since dry ice retains a temperature of -78°C, the water will cool rapidly. Replace with hot water to maintain desired effect. Place dry ice in the bottom of your cooler and the fruit directly on top. Close cooler and let fruits freeze for 20-30 minutes. Remove fruit and place in freezer safe plastic bags as needed. Dry ice can be used to preserve the human body until the funeral. This method has been proven more environmentally friendly than the use of toxic, embalming chemicals, and MUCH less expensive. Dry ice will replace oxygen in a container preventing or extinguishing fires. The most common use is for safely removing underground gas storage tanks. Dry ice, when combined with heavy plastic bags can kill moths, larvae, and eggs through fumigation. Place clothes for fumigation in a plastic bag (at least 3mm thick). Wrap 4kg of dry ice in a towel/rag and place inside the bag. Seal the bag but ensure there is enough space for the sublimation to escape rather than building pressure. 20-30 minutes should be adequate time to finish the job. There are a number of applications in the medical field. Doctors will often use dry ice to freeze and remove warts or other skin imperfections. Temperature sensitive medical supplies, samples, and equipment are also commonly transported with dry ice as a cooling agent. Dry ice can be used to freeze pipes, essentially stopping the flow of water at point of contact. This method is very useful if you are unable to access the main shutoff valve. Once the pipes are frozen, proceed with repairs. Dry ice can be used to protect post-harvested seeds and grains from bacteria, fungi, and insects. Place what you desire to store into a storage container with a small vent on top. Add dry ice to container (amount varies depending on container size). The dry ice will sublimate into gaseous CO2 and displace oxygen and keep contents at low temperatures to kill fungi and bacteria. Dry ice is sometimes used either with or as a substitute to liquid nitrogen to remove small skin imperfections, warts, and moles. This method is not to be used at home. There are a multitude of fun, creative science projects and experiments to be used in schools. Volcanoes, cloud chambers, comets, making baking soda, observing sublimation and gaseous expansion. Dry ice works wonders for metal shrinking and fitting for all types of industry. 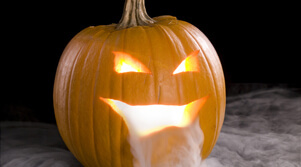 Using a fog machine or buckets of hot water and a fan, many shows are enhanced by adding flowing fog, great for Halloween, stage plays and shows. Use a similar method as when purging containment tanks, the main idea is to use the dry ice to sublimate and displace oxygen before welding. Be sure to eliminate all traces of fuel and wash out the tank with warm soapy water. Freeze branding using copper irons chilled by dry ice has become the preferred method for ownership marking. This technique actually freezes the animal’s hair follicles, causing the branded area to grow highly visible white coloured hair. More and more livestock owners are turning to this more humane option.